Churches of Christ believe, affirm, and defend the biblical doctrine of the virgin birth of Christ. It is a fundamental teaching of Scripture that the human race was (and is) incapable of saving itself (Ephesians 2:8-9), that the eternal Son of God came among us as a human being for our salvation (Philippians 2:5-11), and that the means of his coming among us was an incarnation (i.e., a "becoming-in-flesh") by means of his birth of the virgin Mary (1 Timothy 3:16). As one opens a New Testament, he or she cannot get past the first page without confronting the doctrine of the virgin birth. The writer Matthew says: "When his mother Mary had been betrothed to Joseph, before they came together she was found with child of the Holy Spirit" (Matthew 1:18). Joseph, perplexed over the fact that his wife-to-be was pregnant, was given this explanation by an angel in a dream: "Joseph, thou son of David, fear not to take unto thee Mary thy wife: for that which is conceived in her is of the Holy Spirit" (Matt. 1:20). Another Gospel writer tells of Mary's pregnancy from her perspective. He tells how the angel Gabriel appeared to her to help prepare this young girl for the great event which would occur in her life. He told her, "And behold, thou shalt conceive in thy womb, and bring forth a son, and shalt call his name Jesus" (Luke 1:31). Startled at such a thing, for she was a virgin, the angel continued: "The Holy Spirit shall come upon thee, and the power of the Most High shall overshadow thee: wherefore also the holy thing which is begotten shall be called the Son of God " (Luke 1:35). All four of the Gospels assume the doctrine of the virgin birth; two of them give details about it. And it is all the more amazing that one of these writers (i.e., Luke) is a physician whose training and experience would incline him to deny the possibility of such a birth. Careful historian that we know Luke to have been, he investigated thoroughly and affirmed without hesitation that Jesus of Nazareth was born of a virgin. Some seven hundred or more years before the birth of Jesus, the Holy Spirit had moved the prophet Isaiah to foretell the miraculous birth of the Messiah. "Therefore the Lord himself shall give you a sign; Behold a virgin shall conceive, and bear a son, and shall call his name Immanuel" (Isaiah 7:14). Skeptics have tried to eliminate the phenomenon of predictive prophecy from the Bible, but this and many other divinely revealed predictions - all of which came to pass - make their efforts futile. Isaiah predicted the virgin birth, New Testament writers recorded its occurrence, and it stands as a sign from God as to the identity of Jesus of Nazareth as the Son of God and Savior of the world. By means of the virgin birth, we are able to identify with certainty the Messiah to whom the entire Old Testament had pointed. Throughout the Law, the Prophets, and the Psalms, the Spirit of God had been giving bits of information about this anticipated Redeemer which would enable people to recognize and believe on him when he appeared. He was to be a descendant of Abraham (Genesis 12:1-3), from the tribe of Judah (Gen. 49:10), and a member of David's family (2 Samuel 7:12-17). His coming was to be announced by a forerunner (Isa. 40:3; Malachi 4:5), and he was to be born in Bethlehem (Micah 5:2). Add to these prophecies and their fulfillments that of the virgin birth, and there is no doubt as to who the messiah and Redeemer of mankind is. By means of the incarnation, we have a mediator who is able to restore fallen men and women to the fellowship of a holy God. 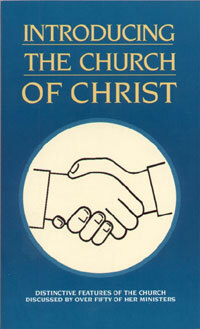 "For there is one God, one mediator also between God and men, himself man, Christ Jesus" (1 Tim. 2:5). His role as mediator depends on his having come in the flesh to share our humanity, but his coming in the flesh was by means of the virgin birth. Thus the virgin birth was an integral part of the redemptive program itself. To deny the doctrine of the virgin birth is to deny the trustworthiness of the Bible. It has been demonstrated already that the Bible speaks clearly and forthrightly in claiming a miraculous, virgin birth for Jesus of Nazareth. If that claim is false, by what right do we accept as true any other doctrine about Christ? A denial of the virgin birth most likely proceeds from a rejection of supernaturalism in general. In other words, one most likely rejects the particular miracle of the virgin birth because he has already rejected miracles in general and the virgin birth in particular, Christianity can never have any place in his life. Belief in Jesus requires belief in the supernatural events involved in his life (John 14:11). If he was not virgin born, bodily raised, and capable of performing signs in his Father's name, there is no good reason for us to regard his teaching as authoritative. Apart from the miracles in his life, he is just another moral philosopher or religious teacher. Finally, to deny the virgin birth is to deny that we have a Savior. The virgin birth identifies Jesus as the promised Old Testament Redeemer and demonstrates his qualification to mediate between God and humanity. Without that identifying mark, we have no good reason to believe that he is the one whom heaven has provided to save mankind. I appeal with you to believe on Jesus Christ as the Son of God (John 8:24), to confess that faith from a penitent and sincere heart (Romans 10:10), and to identify yourself with his saving death, burial, and resurrection in the beautiful act of baptism (Rom. 6:3-4). His incarnation by means of the virgin birth is in vain for you, unless you allow him to save you from your sin. What is the meaning of the term "incarnation"? Which Gospel writers devote the greatest amount of attention to the virgin birth? Discuss Isaiah 7:14. Why have skeptics attacked this verse with such enthusiasm? Why is the doctrine of the virgin birth so crucial? What is at stake for the person who denies this doctrine of the Christian faith?